Don’t let someone else’s carelessness take your financial future. Get the compensation you need to recover from lost time at work and high medical bills so you can heal and move forward. Rely on The Jaklitsch Law Group to help you fight for what’s rightfully yours, whether you need an auto accident lawyer or wrongful death attorney. We’re proud to serve clients in Crofton, MD, so call today. With our years of experience and our outstanding reputation, we’re the law firm for you. Call us when you need a superb car accident attorney or truck accident lawyer in Crofton, MD. We won’t let you down. 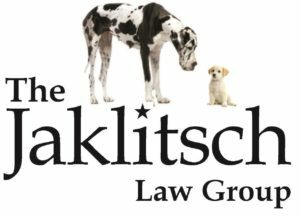 When you call The Jaklitsch Law Group, you can set up a free consultation at a time that works for you. We’ll sit down with you to discuss your case and give you our honest opinion about what your next step should be. When you need a car crash attorney or an auto accident attorney, call us at 301-627-8700 to get started. We are ready to serve you.